(KATAKAMI / VOA) — Aijalon Mahli Gomes has arrived in the northeastern U.S. city of Boston, Massachusetts, where he was immediately mobbed by family members who welcomed him home after eight months in a North Korean prison. Former U.S. President Jimmy Carter secured the American citizen’s release during a mission to Pyongyang. A chartered flight carrying the two men landed in Boston early Friday afternoon. Television footage showed Gomes hugging Mr. Carter and family members surrounding Gomes and the former president at the airport in Boston. In a statement Friday, the Gomes’ family described his eight months in captivity as a “long, dark and difficult period,” and they thanked Carter for his efforts. The family passed by media microphones at the airport without commenting. In New York, U.N. Secretary General Ban Ki-moon welcomed the North Korean decision to release Gomes on humanitarian grounds and urged nations to send emergency aid to North Korea, which has been suffering from devastating floods. The U.S. State Department said earlier that it welcomed the release, and said that was the sole purpose of Mr. Carter’s private mission. There had been widespread media speculation that Mr. Carter also would hold political talks with the North Koreans. North Korean leader Kim Jong Il was reported to be visiting China during most of Mr. Carter’s stay in Pyongyang. But official North Korean media reported the former president did meet with senior officials, including the second-in-command, Kim Yong Nam. The reports said Kim reiterated to Mr. Carter the North’s interest in a return to six-party talks on its nuclear program and the complete denuclearization of the Korean peninsula. Gomes was detained in January after entering the isolated country from China. He was sentenced in April to eight years of hard labor and fined $700,000 for illegally crossing the border. U.S. concerns about Gomes increased following reports that he tried to commit suicide last month. Gomes had been teaching English in South Korea. His friends described him as a passionate Christian activist who was influenced by U.S. missionary Robert Park, who entered North Korea a month before Gomes. Park was arrested and expelled from the country two months later. Mr. Carter previously traveled to North Korea in 1994 to meet with Kim Jong Il’s father, Kim Il Sung. The talks led to a landmark nuclear disarmament pact. 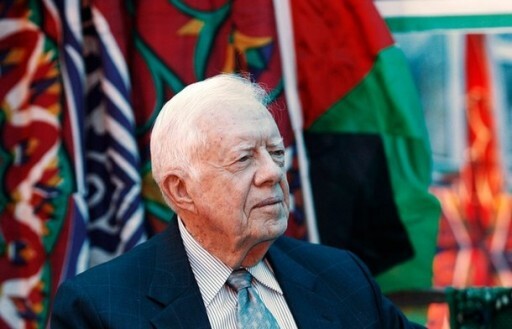 Washington (KATAKAMI / CNN) – Former President Jimmy Carter is traveling to North Korea to free detained American Aijalon Mahli Gomes, a senior administration official and another source familiar with the trip said Monday. While President Carter contacted the Obama administration about the trip, no officials will be traveling with him and he “will not be carrying any message on behalf of the United States government,” the senior official said. North Korean state media KCNA reported Gomes attempted suicide because he felt the US had not done enough to free him. “We’re anxious to get Mr. Gomes home,” Crowley said. “He is someone in a position to take action as a distinguished international figure,” the official said. Carter is expected to leave Tuesday.